This program to encourage women in computing really works. Women in IT Networking at SC (WINS) is a DOE- & NSF-funded program that supports talented early to mid-career women to help build SCinet, the high-speed network that powers SC, the world’s largest supercomputing conference. 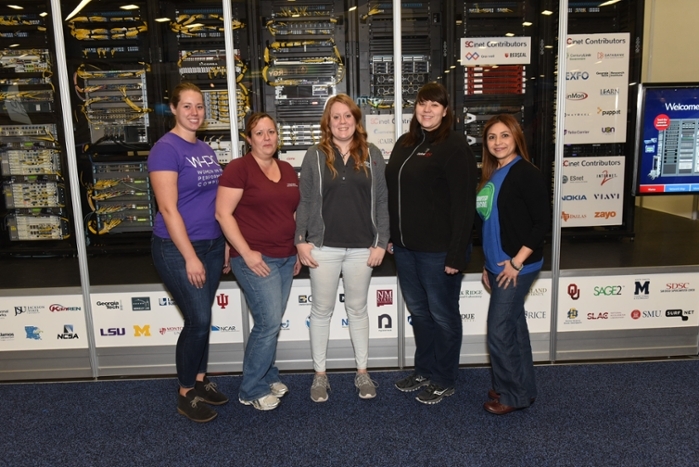 Meade was one of five women selected to participate in the WINS (Women in IT Networking at SC) program at SC18 in Dallas, TX, this year. Each year since 2015, WINS has funded early-to-mid career women to join the team that builds SCinet, the multi-Terabit network that underpins the world’s largest supercomputing conference. 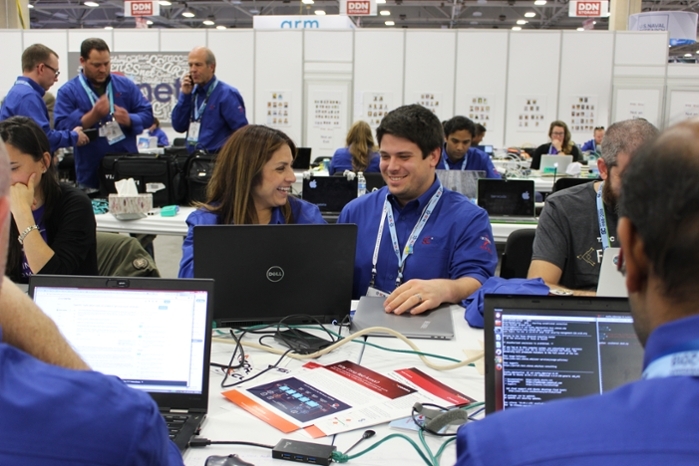 The idea is a sort of boot-camp of hands-on experience, plus the additional perk of working side-by-side with some of the best minds in the field. The 2018 WINS participants universally cite hands-on participation as the number one benefit of the program. From running cable and scoping fiber to working with vendors and improving their communications skills, each woman had to get out of her comfort zone and expand her skill set—fast. “We’re doing the kind of project that would take an average team weeks to do, but we’re doing it in days,” says Jessa Westclark, a network specialist at the University of Massachusetts Amherst. “You actually have to do the hard work,” says Erika Kindlimann, a security engineer at United Shore. “You are able to play with new tools and learn all the new technologies you don’t use at your regular work. You are pretty much in constant training. But this isn’t just a tutorial experience set up to help the women improve their skills. SCinet is a real network, depended upon by SC’s organizers, exhibitors, and over 13,000 attendees. “If we don’t do our job right, the demos don’t work, the wireless doesn’t work,” says Westclark, a member of the SCinet commodity group that takes the internet from the racks installed by the routing team and gets it out to the wireless access points and meeting rooms throughout the convention center. The end result for participants is not just leveling up their hard skills but acquiring the mental attitude that comes from knowing you have what it takes to get the job done. That kind of clarity is extra important for women working at smaller institutions where they may be a very small minority in their workplace—and may find themselves doubting whether or not this is a field where they really belong. Who says women don’t like science?